Generation Y Won’t Garden Because of Fear of Failure? You are here: Home / General Interest / Generation Y Won’t Garden Because of Fear of Failure? Millennials, especially the Gen Y batch, are proving a hard target for the nursery industry to get a bead on. They have a fear of failure, said a recent article written for professional growers. Furthermore, the article states that Gen Yers were urged to their best in school every day, (surprise!) to beat the competition; and thus they “internalized the pressure” to the point that they are now compromised in their ability to take risks. Really? The author of the article claims to be able to quickly identify a Gen Yer in the nursery by the “nervous and unsure energy” emitted. Gen Y may indeed be a difficult target. But it’s not because of risk aversion. No matter how much Baby Boomer parents wanted to pave the way for their Millennial children by taking away difficult experiences, it was not possible for them to do so, any more than it was possible for any generation of parents before them. Failure is a part of the life process of humans, there is no way to subtract it from the equation, and so is risk. Gen Yers failed, they knew it when they did; and they also took risks to reach those high goals that were being set. Nothing ventured, nothing gained was as true for them as it was for every generation before them. And they knew it, too. So are they different? Yes. They’re different because they grew up on the internet. Millennials are used to high tech, easily accessible guidelines, answers, and help. But. That is not he reason they are afraid of gardening. They are afraid of gardening because they are divorced from being around plants. They have no experience. More than any generation that came before them, in the seemingly inevitable encroachment of what we call development, they simply did not have personal contact with plants and their growing cycles. The number one way the majority of people are led into a love for what we used to call the natural world, is by being taken by the hand and led there by someone else who knows and loves it. Grandparents, parents, peers, and good school programs can all take that role. Additionally, a great many of those who go on to become environmental advocates graduated to their passion for ecosystems from their first interest in lessons in the very place we started out with here, a GARDEN. And today, for someone not already vested with interest, cost and space are newly significant factors. Not only are plants not cheap, but the lack of SPACE in today’s world is a real problem. The only place to experiment is not in relative safety of a spacious back yard, where dedication of ground to patch of flowers or veg is an insignificant sacrifice. No, the space is limited in the first place, and may be very public as well. Public spaces may, in addition, be heavily regulated by any number of dis-incentivizing rules imposed by governing bodies. Of course there are some kids who just gravitate on their own towards a love for plants. Of course there are some kids who have been dragged to gardens by parents and reject gardening because their love lies elsewhere. But the majority of kids and adults, too, who turn into gardeners and environmental advocates are the ones who have been led there by someone else, and that is the flashpoint that could be exploited to bring more Millennials in. Gardening is a fine building block, a proven building block; we don’t need to shy away from gardening as a way to bring Millennials into the native plant fold. The biggest responses on the VNPS Facebook page are to articles that explain how to use natives in gardens, and we make it a point to balance garden and conservation issues there. If you make your own informal survey, you will quickly find out that gardening was common pathway to a multitude of botanical pursuits. 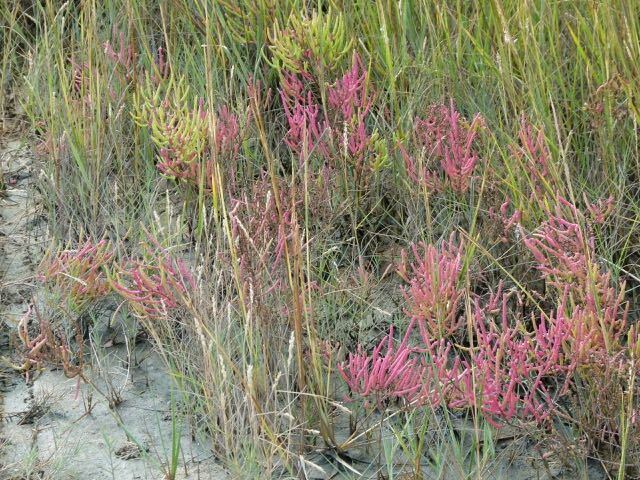 Jointed glasswort, (Salicornia virginica). Grows in salty, sandy places. So what can we do to encourage those plant-deprived Millennials? We need to support activities that provide the opportunity to ENGAGE AND ENJOY. People who are mystified by plants need to be guided into familiarity with them. Once they have an appreciation, then they will want to take, and enjoy, the inherent risks related to gardening. 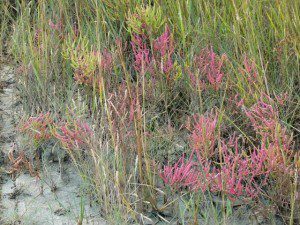 They will grow to cherish the marvelous accomplishment of individual plants that can adapt to growing on mountains, beaches, swamps, and rock barrens. How can we help people engage and enjoy? 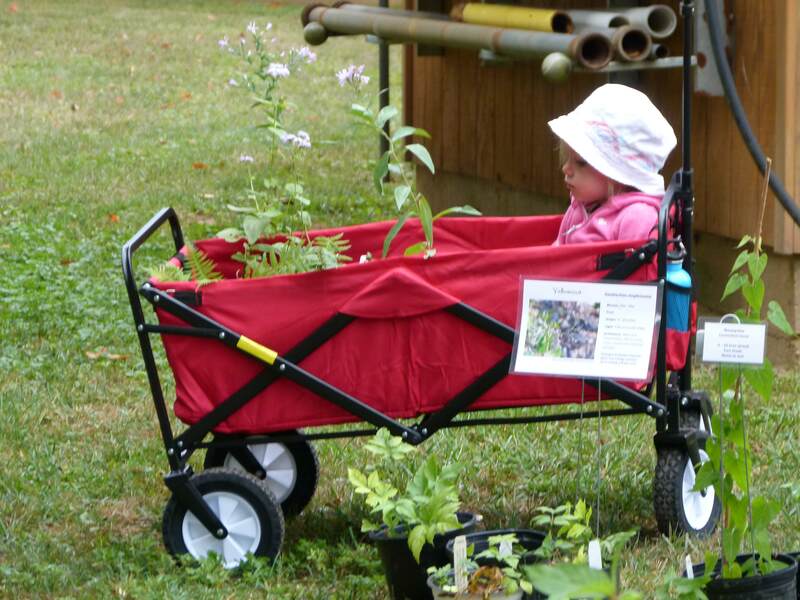 Kudos to our Virginia Master Naturalists who are already doing fantastic programs in schools, many of which bring the Millennial parents in to share field trips, workdays in gardens, projects. Many of our Virginia parks are asking for our help in providing just the kind of programs that get people into the park and loving it. We can be more active in supporting those programs already in place. Once inside those institutions and programs we will know how to improve and expand them. We could do more with offering local nature walks for our own local communities. If we all wait till we can positively identify the majority of plants we encounter, and assign a correct scientific name, it will be too late. And it’s not necessary!! All you need is to share your knowledge and passion for just a few targeted things you collectively encounter in the local environs. Better for the newbies not to be overwhelmed by what they don’t know. Millennials are becoming parents now. Who will gently lead them in? We definitely should step up our efforts in concert with the Virginia Native Plant Marketing Campaign, to give presentations at local nurseries. Think how many people would flock to a “Plant a Pollinator Pot” day at a nursery, and then we could take the opportunity to share the heart of our message with participants: monarchs are just one of many species we are losing, we can do more to protect our environment. Millennials are not afraid of gardening. They are in fact embracing new ways of improving the world they have been born to. They just need someone to take them by the hand and lead them into acquaintance with the amazing and beautiful complexity of the native plants that are the core of the web of life here on earth.